Bryson DeChambeau says he is now on a "double mission" after his impressive four-shot victory at the PGA Northern Trust tournament on Sunday. 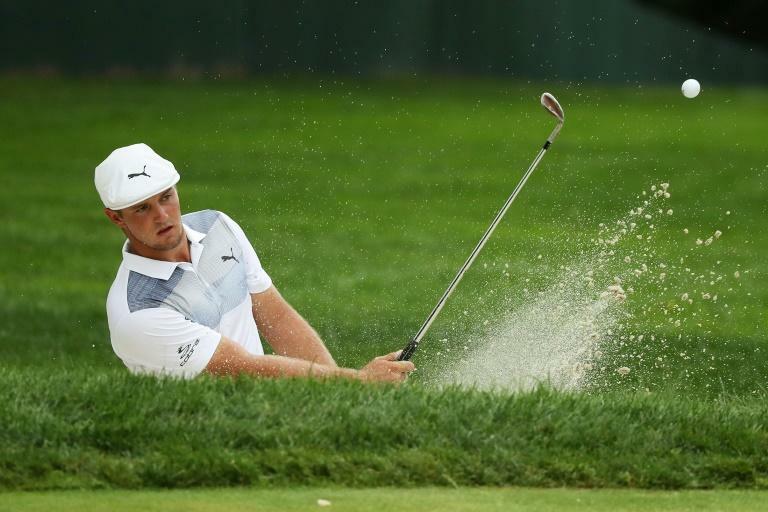 DeChambeau, 24, captured his second PGA Tour victory this year and the third of his short pro career courtesy of a two-under par 69 for an 18-under 266 total on the Ridgewood County Club course. The American headed into the last round of the opening event of the FedEx Cup Play-Off Series enjoying a four-stroke lead and stretched that to six shots with birdies on his opening two holes. DeChambeau then stalled with bogeys at the third and ninth holes and also found himself leading by two as his rivals, including Aaron Wise, who had raced to 14-under through 14 holes, sought to bridge the gap. However, any inward half charge at DeChambeau failed to materialise and when he birdied 12 and 13 to move to 18-under par. It was then a matter of by how many shots he would secure victory. DeChambeau parred his remaining five holes, including saving par after a wild drive way right into the spectators on the last hole. "I'm a man on a mission right now. With two missions actually, one being the Ryder Cup and other winning the FedEx Cup," said DeChambeau, who collected $1.62 million in prize money to take his earnings this season to $6.25 million. "I'm doing pretty well right now and I just got to keep moving forward in the right direction." His win comes after the controversy of seeing victory slip in last month’s European Open in Germany and also last fortnight’s agony in missing the halfway cut in the PGA Championship. In missing the St. Louis cut, DeChambeau dropped to ninth on the Ryder Cup standings to miss out on automatic selection. But with victory in New Jersey he has now done enough to earn a USA wildcard pick when USA captain Jim Furyk announces three of his four Versailles picks in early September. "I got the job done today and that's for sure," he said. "It's been a lot of hard work this past month. It's not been seamless, and you know, not making the top eight in the Ryder Cup, it was disappointing for sure. "I've worked really hard to be a great golfer, and albeit I'm not great every week, I've got three wins under my belt, and I'm really proud of that. I appreciate all the support that's been around me. "But it’s back this coming week with the pedal to the metal." Also in line for a debut USA Ryder Cup cap is Tony Finau (68) who was second at 14-under par. "I think if I'm in the conversation for selection, this doesn't hurt my chances," he said. "I had a solid week all around. My game feels good and I feel confident so, whatever his decision is, I'll be ready to play." Tiger Woods continued to struggle with his putter, posting a last day 70 for a share of 40th place. Woods was asked what he takes away from this week in what was his first appearance in a FedEx Cup playoff series event in five years. "Well, the fact that I played a lot better than my score indicates," he said. "I didn’t make many birdies this week. I didn’t putt well. At the end of the day, I found a piece of my game that has been missing, which is driving it well, but you have to make putts. "That’s the only way we’re going to shoot low rounds. I didn’t do it this week."